The Geeky Yard Sale is Saturday, September 1st from 12:00 PM until 6:00 PM at the St. Charles Location! Do you have stuff to sell? This is the perfect opportunity to get rid of your comics, games, statues, miniatures, handmade goods and anything else related to Geeky material. Just come into the Shop to pick up a Vendor Application or print one off and turn it in! You can find the application on our "Geeky Yard Sale Application Sign Up" event. 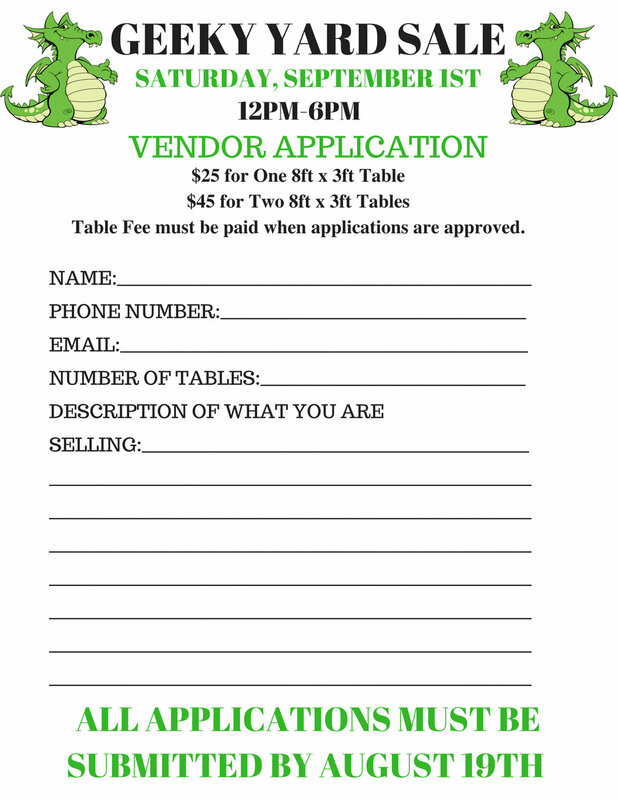 Applications are due August 19th, and the vendor list will be announced August 20th! We've made some changes this year so there will be a little bit of a difference based on the fact that we are using Google Pictures Galleries so that you can get a closer look at all the pictures that we've taken. Please feel free to use the galleries during the live auction to get a closer look at the items that are being auctioned. Announcing the Fantasy Shop's Summer Used Gaming Auction! Bid on our website June 25th-June 29th! We hope everyone is looking forwards to April Fools' Weekend-- uh, Easter. All of the Fantasy Shop locations will be closed on Sunday, April first! Buy a booster box of Dominaria during Pre-Release Weekend and get your choice of 1 free Pre-Release entry or 3 Dominaria Drafts at the Fantasy Shop. Offer is only valid during the Pre-Release (April 21st - 22nd) and while supplies last. Make sure you don't miss a chance to pick up your copy a week early. 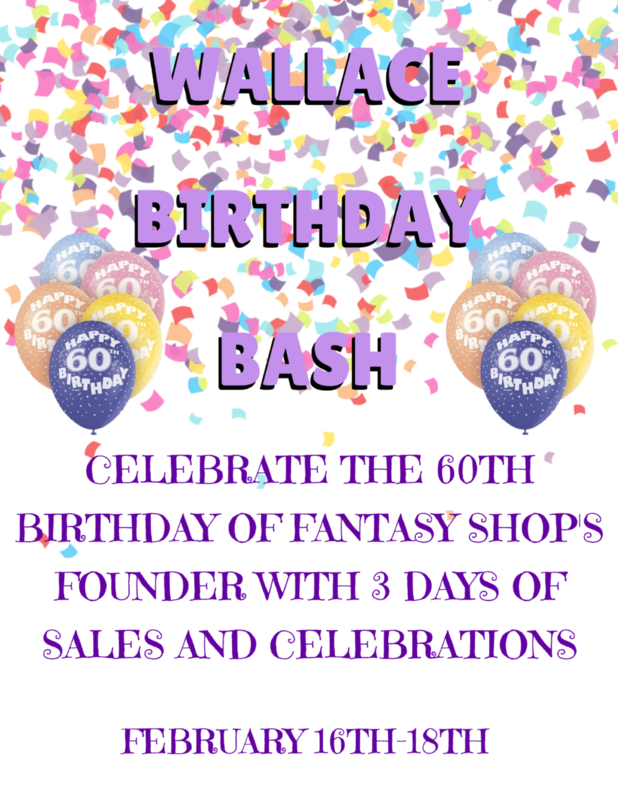 Help us celebrate our owner & founder, Dave Wallace, during his 60th Birthday Weekend at all four Fantasy Shop locations! Dave started the Fantasy Shop back in 1981, and has been an integral part in bringing you the best tools for your hobbies ever since! On Friday, come in to receive 20% off all Comic and Card Supplies. If you play in any of our Sanctioned Friday Night Magic Events, you will receive a coupon for $5 off your purchase of $5 or more! Any purchase of $25 or more gets you entered in a raffle to win a $50 gift certificate! 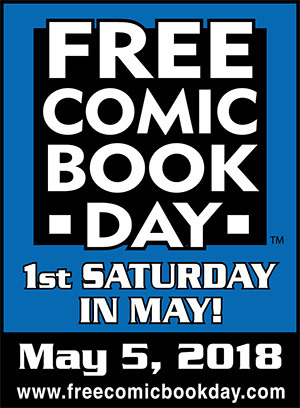 Saturday all Tabletop Board Games and Non Collectible Card Games will be 25% off, and all merchandise (t-shirts, posters, statues, Pop Vinyls, action figures, etc) will be 20% off! We will also have cupcakes to give away while supplies last! Sunday come in and get 25% off all soft cover comic collections and 30% off all hardcover comic collections!